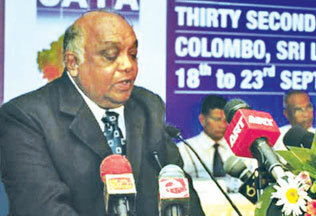 The 32nd annual conference of the Commonwealth Association of Tax Administrators (CATA) opens today in Colombo. The six-day conference is being held at Hotel Galadari, hosted by the Department of Inland Revenue. Around 125 highranking officials from revenue authorities from among 48 Commonwealth member countries will attend the conference which will be opened by the Secretary, Ministry of Finance and Planning and Ministry of Economic Development, Dr. P.B. Jayasundera. This is the first time that Sri Lanka is hosting this event. CATA has been in existence since 1977 when it was established by a resolution of the Commonwealth Finance Minister's meeting held in Barbados. Starting with 27 Commonwealth member countries, the membership of CATA has steadily increased over the years. The membership now stands at 46.